PAINTERS WHITE WIPES-ON-A-ROLL - "WHITE RHINO ROLL"
Very cost effective and economical. WHITE WIPES ARE GIVING WHITE RAGS A RUN FOR THEIR MONEY! Painters literally colour our world. Because of them, we get to see vibrant buildings, furniture and infrastructures. They meticulously paint each corner and space to bring out the beauty of each piece through colors. As part of their work, they need good reliable brushes, paints, cloths, wipes and rags. Typically, bags of white recycled T-Shirts or mixed coloured cotton T-Shirts rags are carried to site in various 1.5kg, 5kg or 10kg bags, all of which TIDDOX supplies. However, there is definitely a trend towards low linting synthetic manufactured wipers such as the WHITE RHINO WIPES that are more consistent in their cut, size and ability to absorb solvents. These rag replacement wipers are made from a combination of high concentrations of wood pulp for absorbency, and polypropylene for strength and durability. This combination produces a wiper that works well in absorbing paints and solvents, and will not fall apart when wet. It is also a very low linting smooth textured material, which is ideal for painters who do not want a rag that leaves any lint or build up on painted surface. WHITE RHINO ROLLS are a cost effective and economical alternative to white rags, working out much cheaper on a cost per wipe basis. 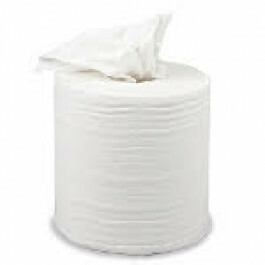 Furthermore, these cloths have none of the inconsistencies that come in a bag of rags, so less wastage - only 220 consistently clean and absorbent perforated white wipers on each roll. Because they are small and portable, there are further savings in shipping and storage. So if you are looking for a value for money low-lint wiper, ditch the bag of bulky rags in favour of a more streamlined, cost effective WHITE RHINO ROLL OF WIPES and experience the absorbency and strength that these tough low linting wipers offer! Save money on those painting consumables, and start using high performance painting wipes on site - conveniently packaged in portable rolls that can be kept on site, in the ute or mounted in the available wall dispensers. Other related products from TIDDOX's range of painting wipes, cloths and rags are the SOLVENT RESISTANT CLOTHS, the LOW LINT INDUSTRO WIPES, and the WHITE RECYCLED T-SHIRT RAGS.